BBC iPlayer is an internet streaming catchup television and radio service for people in the United Kingdom. The service is available on a wide range of devices, including mobile phones and tablets, personal computers, and smart televisions. Neither the iPlayer services nor the individual TV programmes display any commercial advertising. BBC iPlayer is an internet streaming catchup television and radio service for people in the United Kingdom. The service is available on a wide range of devices, including mobile phones and tablets, personal computers, and smart televisions. Neither the iPlayer services nor the individual TV programmes display any commercial advertising. The terms BBC iPlayer, iPlayer, and BBC Media Player all refer to the same services. BBC Redux was developed as a proof of concept for a cross-platform, Flash Video-based streaming system. BBC iPlayer left beta and went live on 25 December 2007. On 25 June 2008, a new-look iPlayer was launched, originally as a beta-test version alongside the earlier version. The site tagline was "Catch up on the last 7 days of BBC TV & Radio", reflecting that programmes were unavailable on iPlayer after this time (with some exceptions). The BBC state on their website that this is due to copyright reasons. The marketing slogan was later changed to "Making the unmissable, unmissable". In May 2010 the site was updated again, to include a recommendations feature and a "social makeover". In February 2011, the BBC iPlayer was once again modified to include links to programmes from other broadcasters, including ITV, ITV2, ITV3, ITV4, Channel 4, E4, More4, Film4, Channel 5, 5*, 5USA and S4C. The feature was added to the search function and the channels function. When users click on a programme by another broadcaster, they are redirected to the relevant broadcaster´s catch up service (either the ITV Player, All 4 or Demand 5). In April 2014, BBC iPlayer was once again relaunched with a new look and a different user interface. 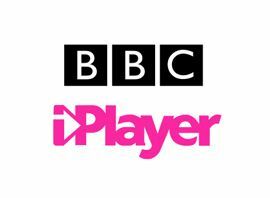 From October 2014, the BBC extended the programme availability for programmes on iPlayer from 7 days to 30 days. However, due to legal reasons, most news bulletins are only available for 24 hours after initial broadcast (with the exception of World Business Report, Business Live, Victoria Derbyshire, Daily Politics, Politics Europe, Sunday Politics and Newsnight).